Sariev Gallery chose to note its 5th anniversary and the fifth edition of Night of Museums and Galleries by presenting in its reconstructed gallery space the RESET project by Simeon Stoilov, Bora Petkova and Ivo Bistrichki. The project consists of a performance and an exhibition, united by the idea of the cyclic recurrence, the periodic evening of values and renewal of the processes. It is influenced by the philosophic interpretation of natural and technological facts, as well as by the renovation of the space and concept of the gallery in the presentation of contemporary art. The performance, which is opening for the exhibition in the Night of Museums and Galleries represents a construction of blocks of ice in the shape of a cylindrical polyhedron that will melt, change its shape and vaporize in the end. The idea of the project is to visualize the process of transformation. To what extent the renewal of an identical starting position is possible, or each beginning carries the character of the previous. The theme about transformation, reset in the context of the different physical or mental occurrences is expressed in the exhibition of multiples (identical objects in a limited edition). By the usage of different materials as (silver, plastics, ceramics, aluminum, glass, insulation materials) the authors become united by the idea of the process of charging and recharging as the basis for physical, emotional and intellectual existence, as a condition for living. Authors’ different interpretations of RESET are related to past searches of theirs in this direction. In this particular case they are united by the changes of the exhibition area and concept in Sariev Gallery. “Some things are more precious than other” – the art-work by Simeon Stoilov represents a silver heart 10/10/8 of size, multiplied in 12 in number, put in glass banks. The multiples are signed and numerated by the author. The wrapped heart in the context of RESET idea, is artist’s concept of presenting it as the most vital organ for continuation of life. This exclusively independent bio-mechanism is called with one of the most technocratic concepts RESET, which is a symbol of contemporary way of living. At the same time the heart represents the idea of sacre cour (sacred heart) and as a shape looks like a Christian ritual object. 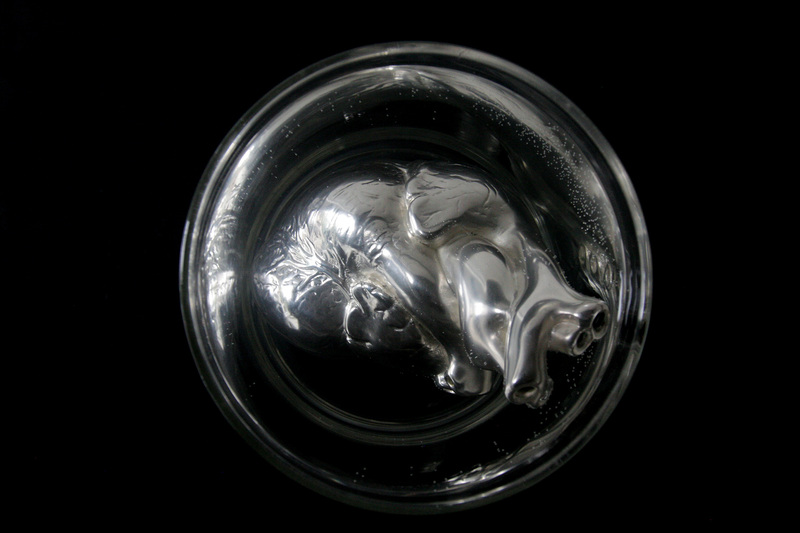 The high standard of the silver – 999 additionally impresses the idea of what is most valuable and the purity of feelings. 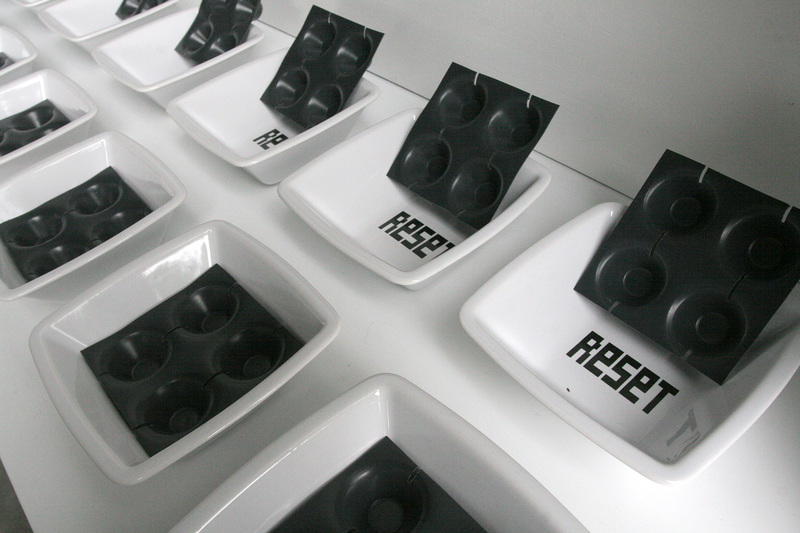 “Ice Molds RESET” by Ivo Bistrichki consists of a limited edition of multiples 50 in number, 5/12/12 of size. They have a ceramic base and a plastic decoration. The molds carry the logical development the idea of the performance. 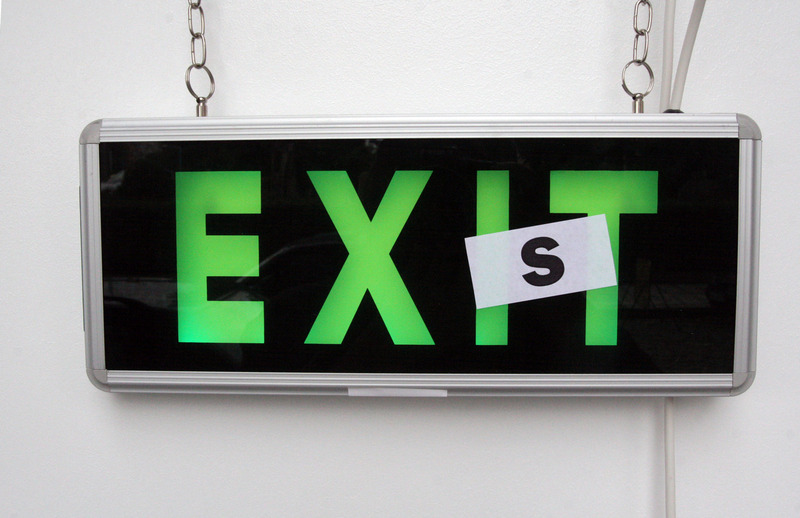 “EXIST” by Bora Petkova is an art-work that consists of 10 multiples from the ’90 Minutes of Emergency Lighting’ series. 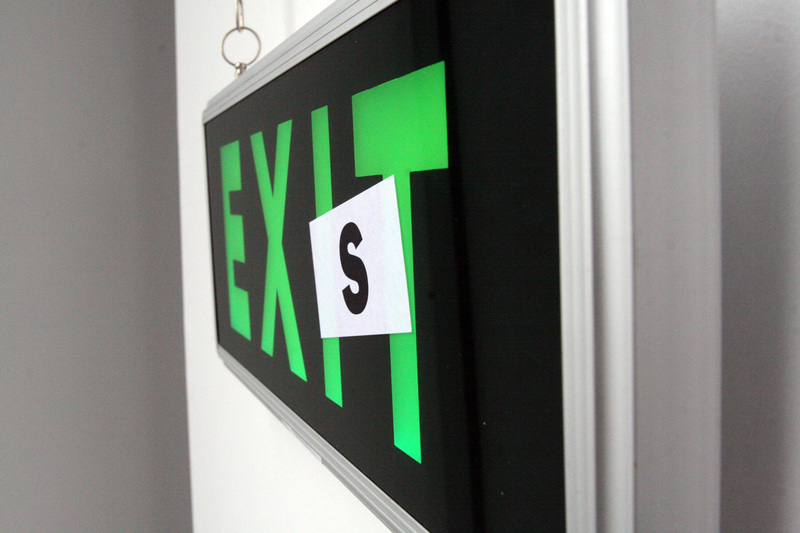 The illuminated emergency signs with RESET inscription, which can be easily transformed into EXIST are author’s conceptual view of existence, defined by consciousness, pursuits, and activity, which requires a continuing charging, action and exchange. The constant need of charging for the functioning of the relation EXIT/EXIST and the limited capacity of the accumulator point out the dependence of the contemporary man on systems, which we use constantly and the exhausting sources of energy. 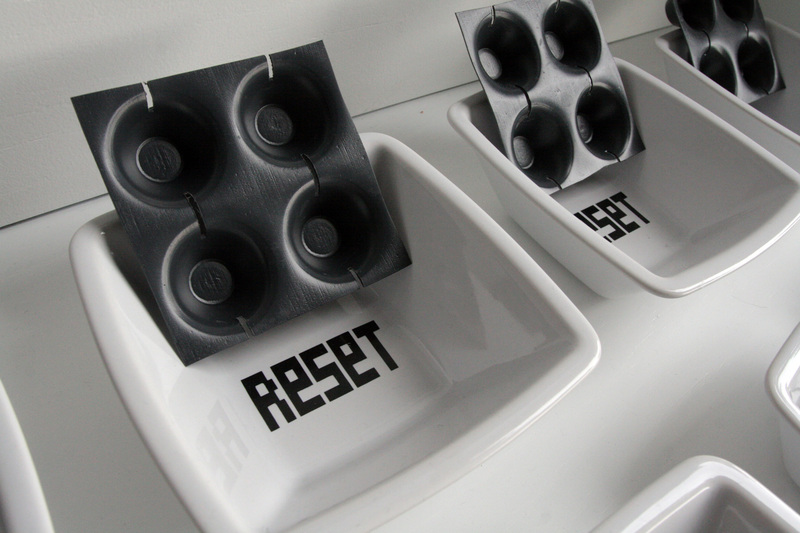 By presenting the RESET exhibition Sariev Gallery RESETS its own existence.